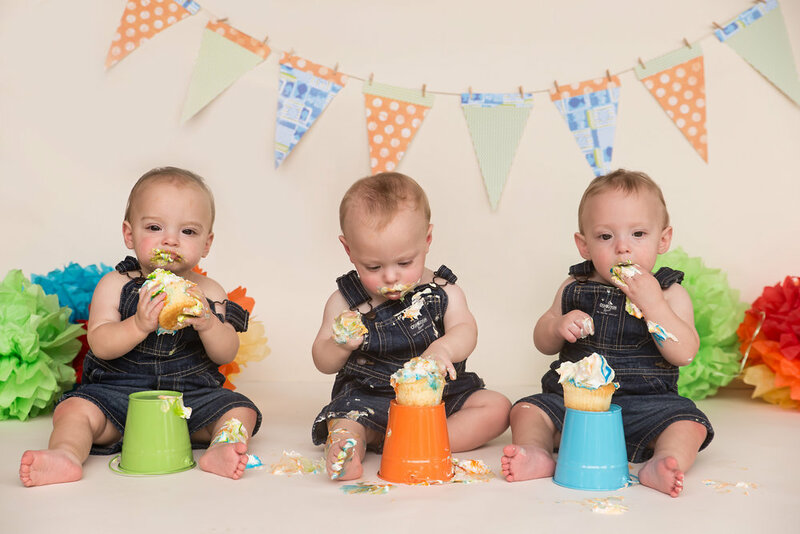 The latest craze in the baby-photography world is a Cake Smash for the baby's 1st birthday. I really love this age. One year olds are happy babies, without the stranger-danger issue yet which makes them super easy to photograph. And every single one of them is so dang cute I can't stand it! Decorating the background is fun and gives me an extra outlet for my crafting gene. I've stepped up my game and bought a Cricut machine so I can really customize the backgrounds now. One more toy...I mean tool...it's a tool. I need it for my business. The messier we get, the better. Moms and dads are needed to keep the baby from crawling or walking away, so plan on getting a little messy yourself. I've found icing in some pretty strange places after a shoot! Don't you wish you could have this much fun eating cake?